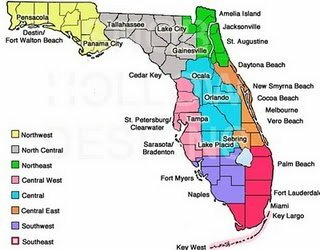 Florida'a Central West Region is home to many beautiful state parks and public beaches. Always warm with beautiful white sand, blue water and sun to give your skin a glow. Lots of snow birds fly to these west coast beaches to build their nests for the winter. They come every year but haven't learned the language yet. We rednecks have given up; we know they are doing the best they can. Apollo the beach, like Apollo the Greek God, is handsome and full of energy. Apollo was responsible for bringing light and warmth in the form of sunshine to the world each day. White sandy beach topped with clear blue water. A modern beach, delightfully well preserved for a taste of what Old Florida looked like. A “Best Beach” award winner and there is a Robinson Crusoe adventure of having to get there by ferry from Honeymoon Island. Award winning beaches within the city limits. The centerpiece of this “hot spot” among tourists and locals alike is Pier 60; popular for fishing, activities and good eating. Another best beach winner with all the romantic ambiance you would expect of an island that started life as a special retreat for newlyweds. A small, laid-back town that most tourists pass by without a glance but it is their loss. This beach is peaceful, relaxing and offers a nice family getaway under the sun. A beautiful family beach, perfect for re-charging body batteries that have been spent at nearby Disney World, Universal Studios and Sea World. A great family beach. Not the Madeira Spanish wine you thought I was talking about but perhaps if we put the two together… hmmm. If you're trying to escape the hustle and bustle of your busy life but want all the amenities and accommodations nearby, come on down to Central West Florida where you can slow down and enjoy life! A popular turtle-nesting beach on this so look out for loggerhead nests. If you’re lucky, you might get to see one hatch. You can relax and sunbathe here on a beach that looks like and feels like marshmallow fluff. If you don't know what this is, think melted marshmallows in a jar. Home to some of the best beaches in Florida including Siesta Key, Sand Key, Caledesi Island, Honeymoon Island, Fort De Soto and Egmont Key. This is the “Sponge Capital of the World” and has been since the 19th century when Greek immigrants first began harvesting sponges here. Come to Central West Florida and see what perfection looks like! You will be glad you did.